You would think that everything that could be said, had been said about the refugee influx into Europe. I think there are a few topics that are new, or glossed over, so here we go. These are seven refugee issues we have ignored. 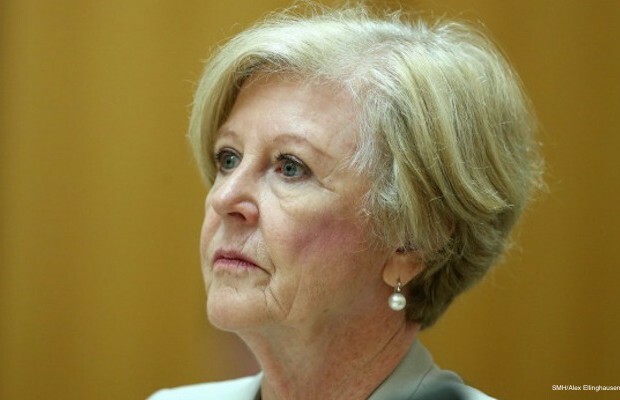 Firstly, one raised by Gillian Triggs. If we are taking Syrian refugees, what about the ones on Nauru? Abbott (remember him?) said no. What will Turnbull say? It does raise a few philosophical questions though. When it comes to joining Team Australia, if you travel across the Mediterranean by boat, it counts for more than if you travel from Indonesia by boat . Not sure I understand. The next question raised is a curly one. If you except Syrian refugees from Nauru, does that mean Syrians are somehow better than say Afghans or Iranians? Are we only looking for people from Syria to join Team Australia? The second point is very interesting. This is the biggest refugee migration since World War 2. Now you would expect that if a nation was formed out of persecution and being driven out of their homes, they would be the first to sympathise with what is happening in Syria. If millions had died at the hands of a genocidal government, that nation would be opening it’s doors to refugees. Hello Israel. Anybody home? Did I miss the Jewish nation leaping to the defence of the refugees? Maybe I just didn’t go to the synagogue last weekend. Remember the holocaust???? The third point is the response by Australia. We are taking in 12,000 this year. We have a population of 23 million. For comparison, Germany has a population of 80 million. They are taking in 800,000 this year. Australia is taking one refugee for every 1,900 people already in this country. Germany is taking in one refugee for every 100 people in the country. They are doing 19 times more than we are doing. Starting to feel proud of our increased refugee intake? What if this is an omen of things to come? It is looking more likely that in years to come, all nations will see floods of refugees that will make today’s numbers look miniscule. What do we do then? Who is even talking about it? The fourth point follows on from the sheer size of the problem. If you look at why people are leaving their home country when a few decades back, they would have stayed put during a war, there is no simple answer for how transient people are becoming. You can look at better communications, more links outside the country with family who have migrated, people smuggler industry, and a range of other influences. On the push side of the equation there are more sophisticated weaponry, more vicious and fanatical rebels, and longer wars. If this level of refugees continues to increase into the future, could we reach the point, where an army such as Islamic State takes over an area of land but has only a small part of the population remaining. Not enough people to sustain an economy. Nobody to farm the land or fix the plumbing, or repair the electricity infrastructure. Conquest might lead to an implosion. The victors might end up ruling nothing. Sort of a landlord without a tenant. The fifth point is ‘why’. In years gone by, wars had an objective. WW2 had the objective of defeating Hitler and returning Germany to a democratic government. The emerging problem now is this. There is no vision for what victory looks like. The US led war against ISIS does not want the Assad government to rule Syria. They probably equally despise Assad. Problem is, they don’t have a realistic option if they win the war against ISIS. Back to Assad? So if you have a couple of villains sitting in the background, is it worth going to war to defeat one, only to be landed with another? It is like overthrowing a drug cartel and having another take its place. If you don’t have a vision for what a victory looks like, what are we all doing. An endless war. Hoping that if we fight long enough, an acceptable victory situation might mysteriously emerge. I only have the question; no idea what the answer may be. It seems I am not alone. I am yet to hear a politician clearly articulate what a victory in the middle east might look like. The sixth point is also curious, especially if you live in the US or Russia. What would you think if someone said that war is good for the economy. War means more weapons are sold and the defence industry goes through a boom period. You would probably want to strangle someone but that is the reality of the major super powers. They make lots of money by selling weapons to the combatants. With the influence of the defence industry on government, it is fanciful to believe that pressure is not brought on politicians to let wars run on. How they resist or give in to these pressures may come out in years to come. It is not something a politician is going to announce right now. It is however a factor in generating and supporting wars and instigating floods of refugees. Sadly, floods of refugees are likely to increase. It is estimated there are 60 million refugees at the moment. That is in a population of 7 billion. Refugees account for 0.85%. What happens if it becomes 8.5%? How does the western world cope when floods of refugees cross the border looking for a better life? TV and Internet shows people in third world countries what it is like to live in the western world we are so proud of. Should be be surprised when they come looking for a piece of the action. Hardly. Maybe we should start to think about how we might respond. The day of reckoning may be closer than we think.